It is not often that in the suburban sprawl of Atlanta you find a house that seems unique. Each style or fad that passed through the city left its mark, from the Arts and Crafts bungalows from the early 20th century, to the low slung houses from the 60's and 70's to the split-level craze of the 90's. This house, however, defies stereotyping. 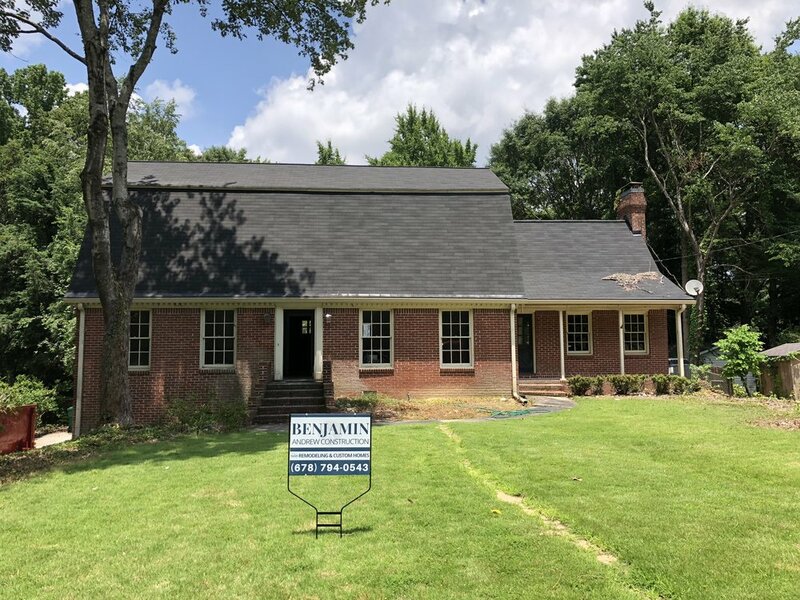 The four sided traditional red brick home is well within normal Atlanta standards, but paired with a gambrel style roof, this two story home on a basement takes on a unique style of its own. The interior did take its cue from the era in which it was built -- separate rooms and walls everywhere! Our remodel is all about opening up the space and bringing in the light. To begin, out comes the wall between the kitchen and living room. 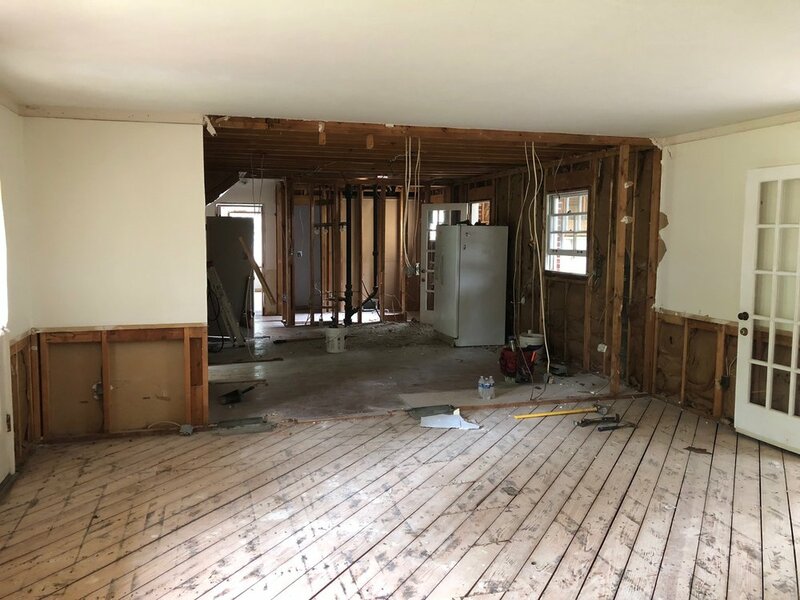 The flooring will be replaced with hardwoods that will connect the living and kitchen spaces. This whole home remodel goes beyond reorganizing the interior, and makes significant changes to the front and back elevations. The old sunroom is getting a complete redo, from the ground up. Footings for the concrete foundation are being poured to make for a proper foundation. 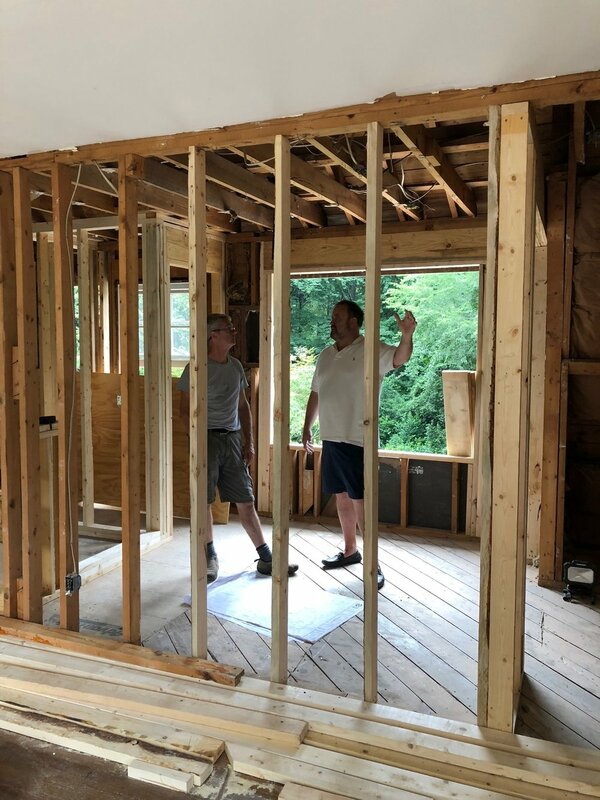 The new room will include a wine room and be open to both the kitchen and living room.The doorways controlling traffic are being widened and more windows are being put in the rear of the house. And now for the front elevation. 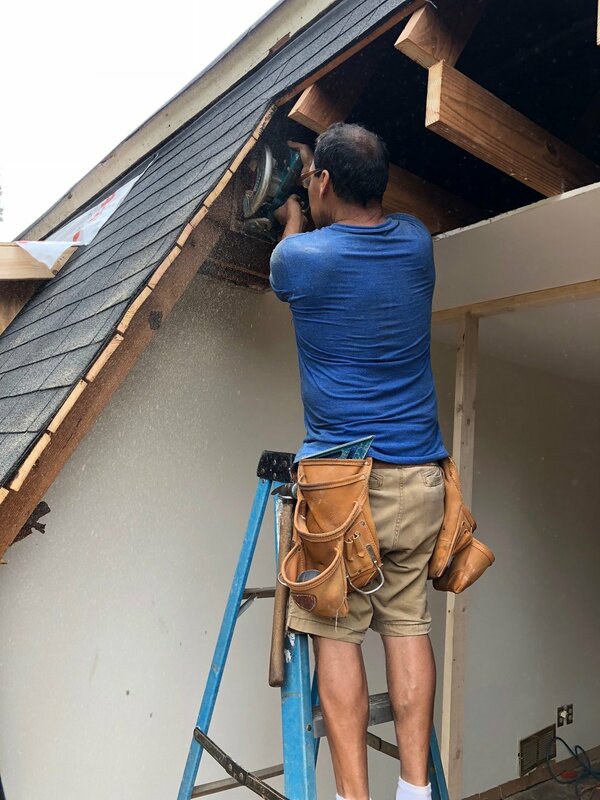 From the street, the biggest change will be three new dormer windows that will add an architectural statement as well as more functional space AND light into the second floor bedrooms. Miguel, our framer, is framing the second shed dormer. 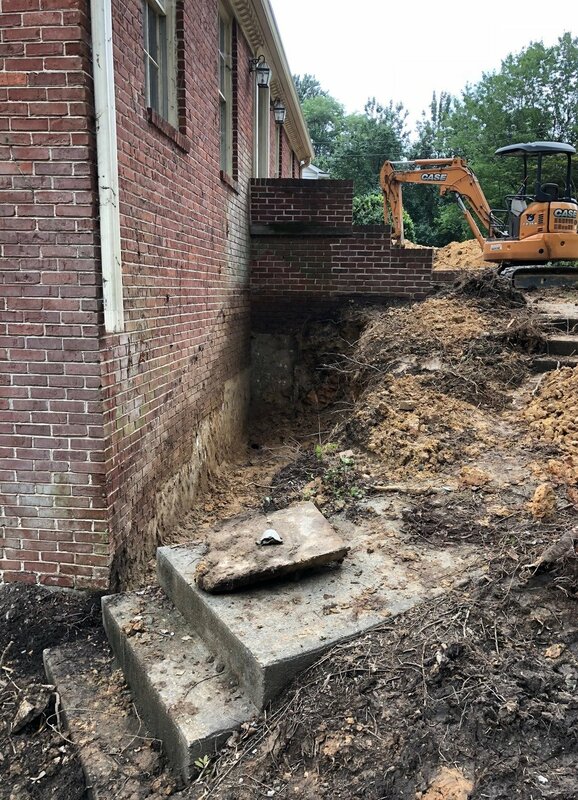 Possibly less glamorous, but equally important is the foundation work -- not something noticeable from the street, but this level of detailed work (digging out the foundations, adding drains and waterproofing) will give our homeowners peace of mind during the next Georgia thunderstorm. Such a large project with various lines of work happening at the same time requires steady communication with the homeowner. Ian, our project manager, meets with Frank each week to keep him informed and answer any questions or concerns he might have. 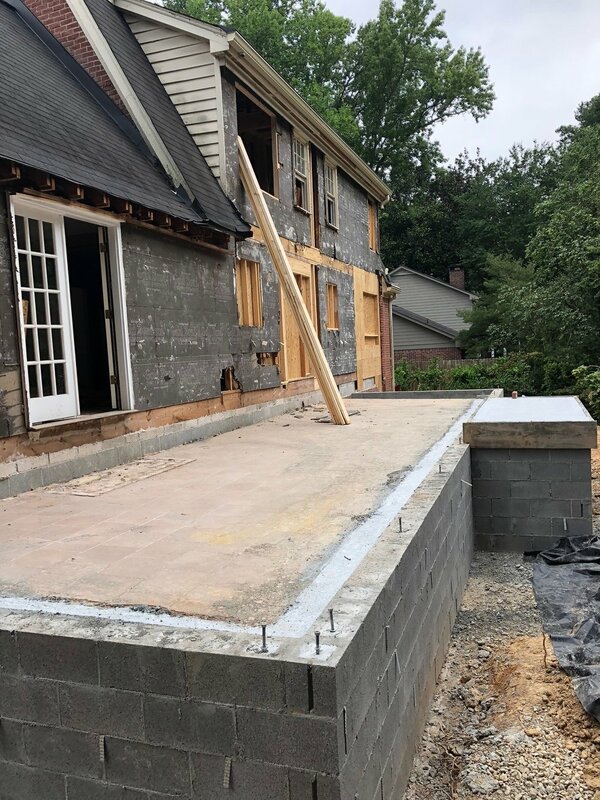 Not only is it exciting to see transformation and get inspiration, but we hope that following along our projects also gives the reader a good idea of our process at Benjamin Andrew Construction, and our commitment to custom solutions for every homeowner. We love to hear from you -- drop us a line here and we'll talk soon.